Do All States Allow Bail Bonds? Since 1898, when Peter McDonough established America’s first bail bond agency in San Francisco, the bail bond business has flourished as a commercial enterprise in the United States. The idea of bail as a for-profit enterprise, however, has come under fire in recent years, as many other nations such as Australia, India, and South Africa have done away with the practice. Yet, commercial bail bonds continue to thrive in the U.S.
At present, most states continue to support some form of bail bond system to handle pretrial detention and release. There are, however, a few exceptions. States unfriendly to commercial bail include Illinois, Kentucky, Maine, Massachusetts, Nebraska, Oregon, and Wisconsin. In these states, commercial (for-profit) bail has been replaced by alternative systems, such as deposits made directly to courts, rather than through a third party. Let’s take a brief look at these states in more detail. Illinois has one of the strictest systems against private bail agents in the U.S. Not only does the state ban bail bond agents, but attorneys and some state employees are also not permitted to post bail for defendants. Bail does exist in the state, but any money to secure a defendant’s pretrial release is paid directly to the clerk of the circuit court where the defendant is to be tried. Illinois uses the “10% rule,” which states that a defendant must post at least 10% of the amount stipulated by the judge to secure release. In 1976, Kentucky became the first state to ban commercial bail. To secure a defendant’s pretrial release, one has several options. A friend or family member can offer cash bail for the full bond amount (usually for minor offenses). For higher amounts, Kentucky uses a 10% system similar to that of Illinois, with bail amounts paid directly to the court. A third and less commonly used option is the property bond. Under this option, one would put up in-state property equal in value to twice the bond amount. If the defendant fails to make a court date, the state can place a lien against the property. According to state law, a defendant is entitled to bail, as determined by the Bail Commissioner, but this amount is only forfeited if the defendant misses a scheduled court date. In other words, if you make your court dates, you pay nothing for your pretrial release. Certain more serious offenses (such as felony assault and felony sexual assault) are exempt from this rule. Surety bond can be secured by putting up in-state property equal in value to the bond. This method is most commonly used for more serious (but still bailable) offenses. The Massachusetts bail system is perhaps the nation’s most unique. The state employs Bail Commissioners (also called magistrates), who preside over first court appearances for defendants. If a defendant is deemed releasable, a $40 fee is paid directly to the court. If you are held without bail, the fee does not apply. Some defendants are released on their own recognizance, but if a bond is required, you (or a friend or family member) would have to post cash equal to the bond amount to secure your release. In Nebraska, the jail serves the role of a bail bondsman. When bail is set at the first court appearance, a defendant has the option of paying a non-refundable fee equal to 10% of the bonds amount. This fee goes to the jail and is not returned, even if you make all scheduled court appearances. The state may also appoint a person or organization to monitor a defendant during the pretrial release period. Monitoring may include phone check-ins, personal visits, and even random drug screening if stipulated by the court. In Oregon, as in Nebraska, the jail serves the role of a bail bondsman. A cash amount equal to 10% of the bond is required to secure release. If you make all scheduled court appearances, 85% of this amount will be returned to you, with the remaining 15% withheld to cover court costs. Although Wisconsin has no commercial bail bond industry, the state does permit a friend or family member to act as “surety” and to put up 10% of the full bond amount to secure a defendant’s release prior to trial. If the defendant fails to appear, that amount is forfeit to the courts. Georgia’s court systems work with bail bondsmen and the commercial bail bonds industry to issue, manage and enforce the bail system. If you are in Georgia and have a bail bond question, or require a bail bond, contact Bond James Bond for licensed, professional bonding services. 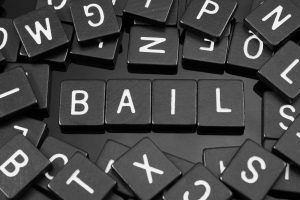 We hope this quick review helps you better understand the bail system in the U.S. At Bond James Bond, we’re committed to serving the needs of our communities, while helping defendants keep their homes, jobs, and family obligations while awaiting trial. If you are arrested in Georgia and need an established and licensed bond agent to help secure your release, contact us today! holidays. We have 11 locations which are conveniently located to serve you better. Visit us at www.bondjamesbondinc.com, or call Bond, James Bond, Inc. at (678) 825-3436.